It’s meant that I’ve had to keep my nails short and avoid manicures that involved even the gentlest of buffing. I gave up on them at regular intervals, opting for gels or acrylics which while looking lovely for a short time, would inevitably always end badly. No exaggeration, they would make my real nails bleed; so those little escapades, would literally always end in tears. I’ve tried everything from eating nail-strengthening foods to using nail hardeners and cuticle oils but nothing would rid me of the dreaded peel. That is until I decided to try almond oil. 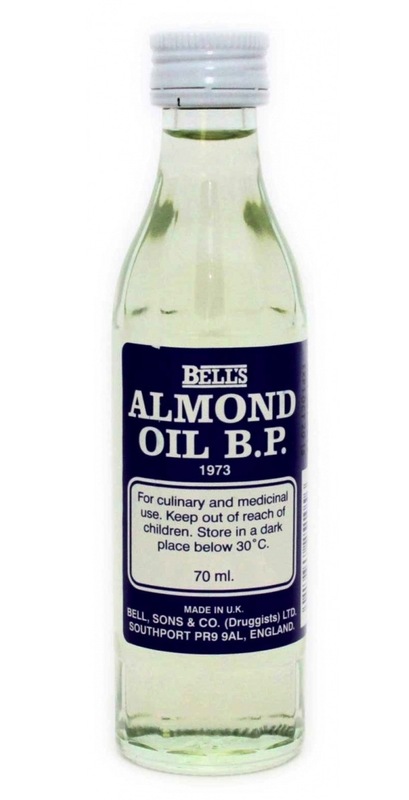 I opted for Bells food grade almond oil which is literally good enough to eat. It’s rich in zinc, B vitamins and iron which are said to improve the nail structure as well as moisturising omegas and vitamin E.
I applied it religiously every night before bed and whenever I could during the day. Within a week I noticed a change. My nails were growing faster than ever before and as I clipped off the peeled ends, the new nail bed wasn’t peeling! I’m now a month in and my nails have never looked so pretty- shiny with naturally white tips. I had my first French manicure in about two years this week and the technician had to cut my nails because they were too long. Shock. Horror. I’ve started using it on my hair too; fingers are crossed for Rapunzel-like locks four weeks from now.